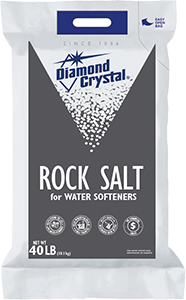 Our high-grade rock salt is the most economical choice in quality water softener salt. It dissolves evenly for free-flow through your brine tank, without mushing or caking. Recommended for side-by-side water softeners, as directed by the water softener manufacturer.